The striking image on the No More Orders business ecards is of one of those beautiful pink skies you see at sunset, and the misty waters below are only broken by a few rocks poking through the service. 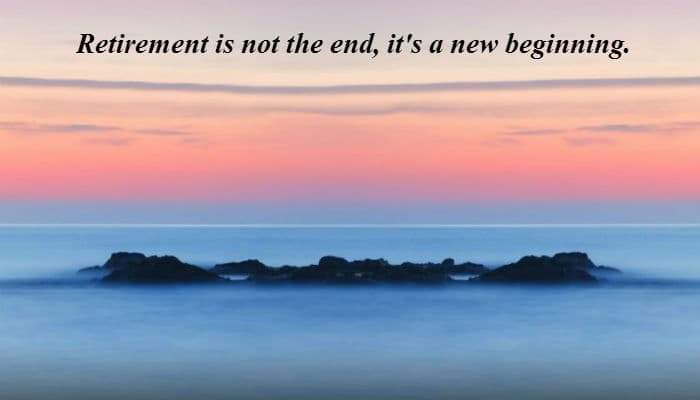 The message across the card reads “Retirement is not the end, it's a new beginning” which of course is exactly what it is. Yes it is the end of your time working for that company, but in the terms of the rest of your life you are just starting on a whole new adventure. Why is the name of the ecards “No More Orders”? Because for most of us it is own when we retire that we finally become our own boss and can do what we want when we want and not be tied to working hours or our desk. This is a sentiment that some do not think of at the time, and many of those who are set to retire panic about what they are going to do to fill in their time after working for all those years. By sending them these ecards you are letting them know that there is a life outside of the office, there is nothing to be afraid of and a whole new journey to embark on, and best of all they are their own boss. Sending ecards is so easy today and there’s nothing easier than using ecards to communicate at Christmas time with corporate Christmas ecards, check out what we can do for you.